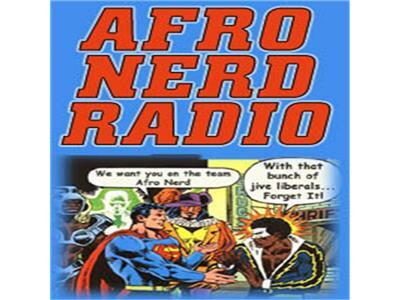 AfronerdRadio.com Presents The Comic Shoppe Show! Let's just jump into it, shall we? Stop by The Comic Shoppe tomorrow at 7pm as Daryll B, Captain Kirk and Dburt analyze the following pop culture phenomena: our analysis of this past Friday's release of Captain America: The First Avenger-did it live up to the hype? ; a discussion of metas on television-have you noticed that a number of TV programs (and movies) that are not conventional fantasy shows have become reliant on certain characters possessing a type of talent or "super power" (case in point-USA's lawyer themed show, Suits); San Diego hosted its 41st annual Comic Con International event with 130K plus in attendance; Capcom does it again, a few months after the release of Marvel vs Capcom 3, an Ultimate version is slated for release the fourth quarter of this year; Freddy Kreuger is coming to Mortal Kombat next week; in the wake of the independent comic book initiative, Womanthology, an all-female comics anthology with an all-star lineup of female creators, receiving substantial funding in 24 hours...the question remains-can a similar Black themed anthology be far behind? and lastly, our favorite graphic novel reading suggestions from the previous week.